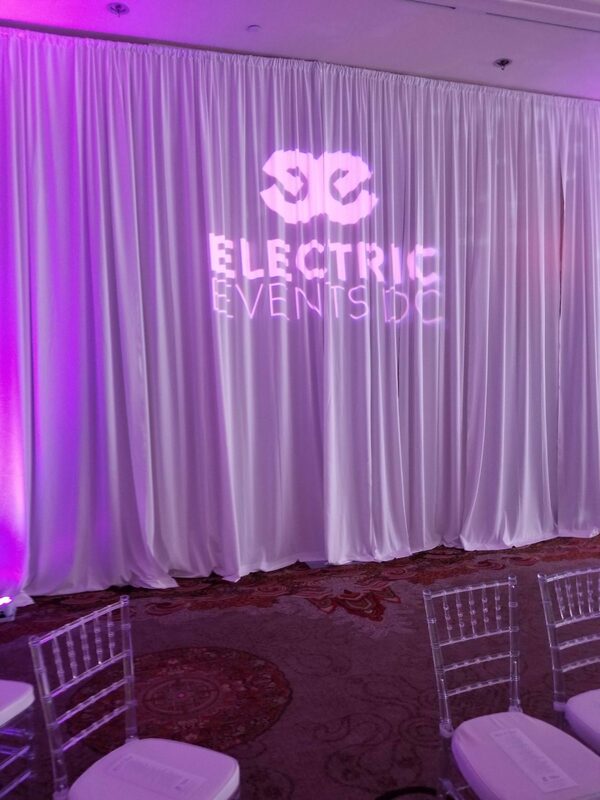 The feeling was nothing short of electric last Sunday at Washington DC's Mandarin Oriental Hotel as brides, bridal parties and wedding vendors all gathered for Washingtonian Bride & Groom's Unveiled expo! Our team was excited to attend as one of the co-sponsors of the day and for the ability to showcase our skills and set the mood of the event as well. A complete room wrap in white draping including framing under and around the air-wall tracks as to not expose any wall. 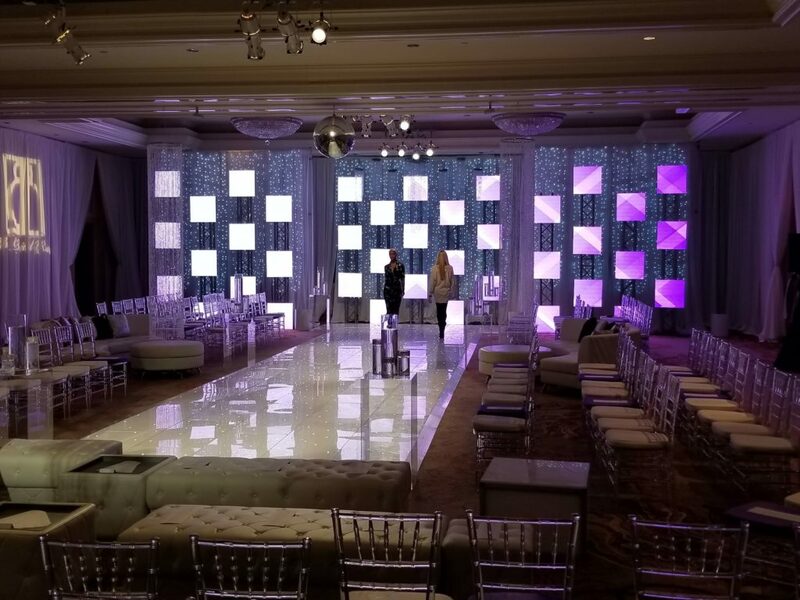 A dramatic 39-panel checkerboard LED wall video backdrop with custom imagery and dynamic video. Wireless LED uplighting around the room. 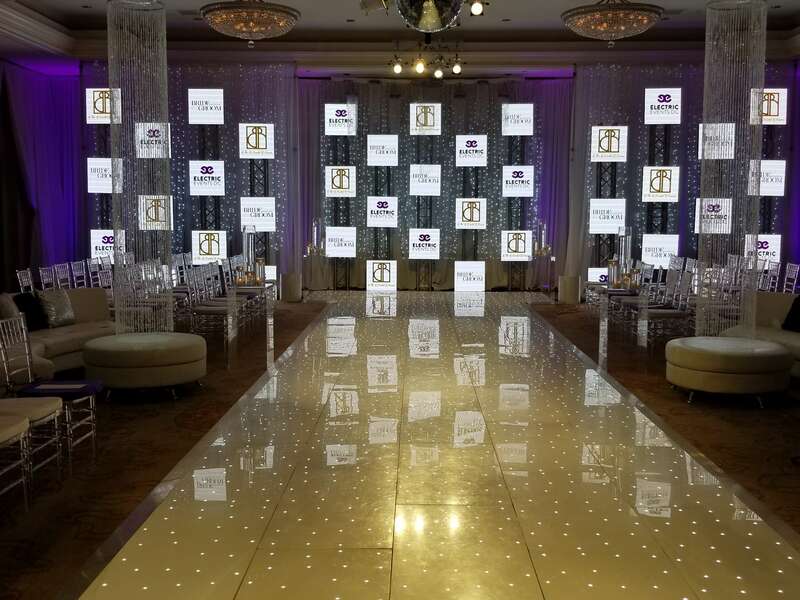 6 clear acrylic pedestals with floating candles framing the runway. Acrylic LED platforms scattered amongst the crowd for the band members to perform on. 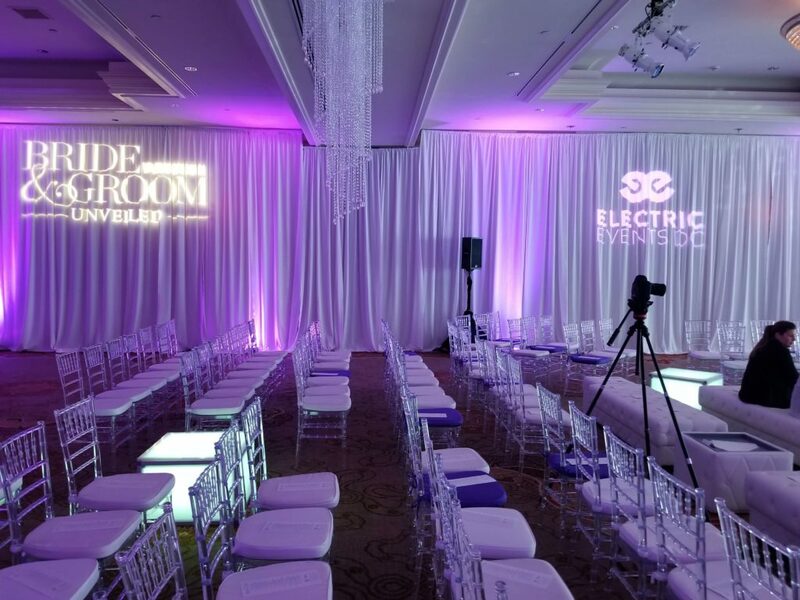 3 sets of white leather lounge furniture for VIP-style premium views of the fashion show. 200 ice clear chiavari chairs with white and purple cushions. Our white LED sparkle backdrop behind the video wall. 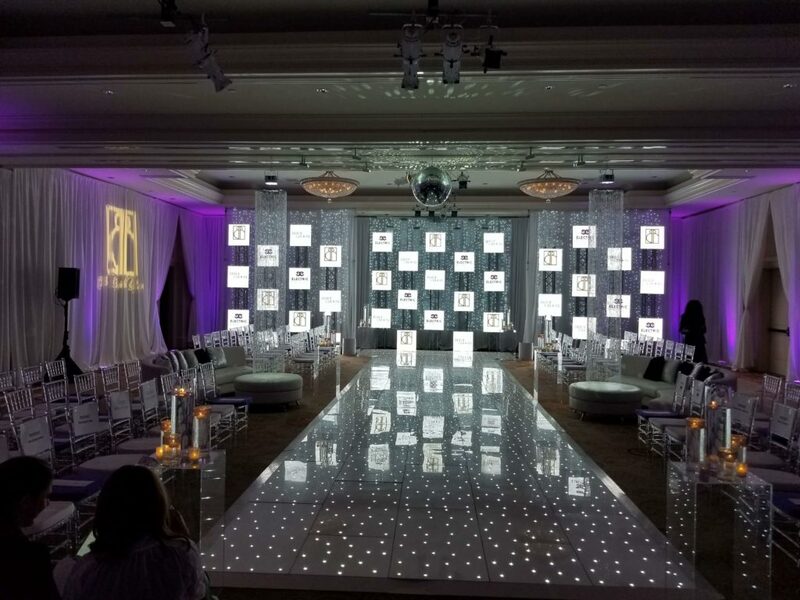 Scattered assorted crystal chandeliers and 24" mirror ball above the runway. A firework sparkler finale exit demonstration. Our Signature Magic Mirror Photobooth. Our rustic wine barrel and stained wood bar with gunmetal bar stools for a whiskey tasting in the hallway. It isn't too early to start planning your own best day ever with the same unforgettable effect. Contact us us today for a free consultation and let the brainstorming begin!